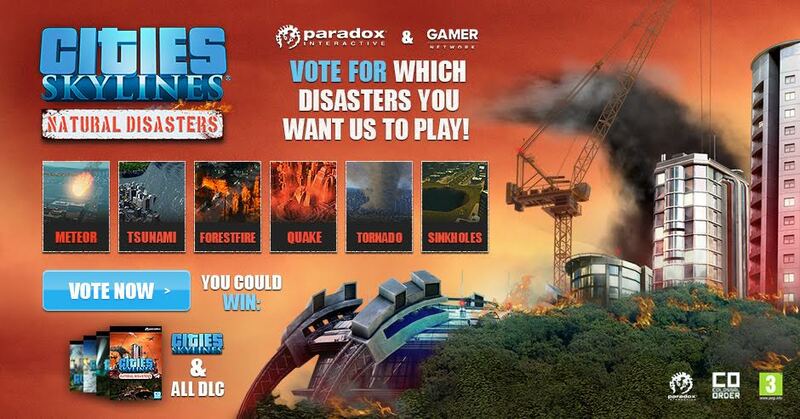 Vote for natural disasters and be entered in our Cities Skylines competition. Fancy trying to win Cities Skylines: Deluxe Edition and all its DLC on PC? Of course you do. To be in with a chance of winning, just head on over here and vote for the natural disasters you’d most like to see destroy a city. Then enter your email address in the box provided. Winners will be chosen at random. Good luck!